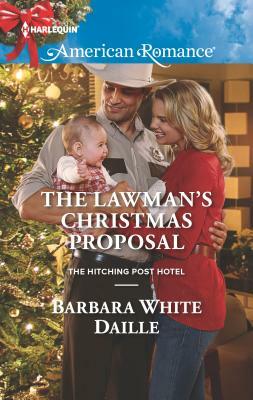 A husband for Christmas? Mitch Weston's back in Cowboy Creek, and self-proclaimed matchmaker Jed Garland has his single granddaughter Andi on his mind. Mitch is a lawman, good with the little ones and easy on the eyes. He and Andi were high school sweethearts, for heaven's sake Why can't they see they're perfect for each other? Because Andi already lost one husband to a dangerous job, and now she's all about playing it safe, for her sake and her children's. Being a cop is everything to Mitch. After discovering Jed's plan, Mitch and Andi come up with their own: they'll pretend to get engaged and then break up due to irreconcilable differences. Jed's got his work cut out for him--because this match needs a Christmas miracle.